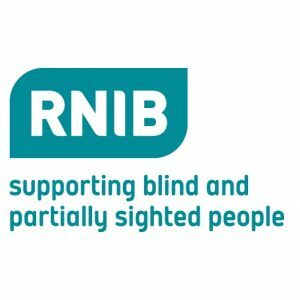 The Royal National Institute of Blind People (RNIB) has produced a new guide aimed at improving the service the rail network offers passengers with sight loss. The guide, developed with the help of train companies, sets out the key steps that can be taken by the rail industry to ensure they are meeting the needs of the growing number of blind and partially sighted passengers using the network. It provides detailed information on a range of areas including best practice for staff training, online information accessibility and station layout. There are currently around 150,000 Disabled Persons Railcards in circulation, with around 10 per cent held by blind and partially sighted people. RNIB research shows that 11 per cent of people with sight loss frequently travel by train, a number that is likely to rise as accessibility improves. “Being able to travel safely and with confidence is an essential part of leading an independent life. Blind and partially sighted people should be able to access train timetables, navigate stations, manage train journeys and receive the customer support they need. Michael Roberts, chief executive of the Association of Train Operating Companies (ATOC) and director-general of the Rail Delivery Group (RDG) said: “More and more disabled passengers are now taking the train and RNIB’s good practice guide will help make it easier for those with sight loss to travel on the railway. An industry event is being held to mark the launch, with Louise Ellman MP, Chair of the Commons Transport Select Committee, addressing guests. Representatives from train operators across the UK, Transport for London and Transport for Greater Manchester are also attending. Be the first to comment on "RNIB launches good practice guide on making train services more accessible"